October is such a fun time for kids: piles of leaves to jump in, costumes to pick out, pumpkin patches to explore, and TREATS to eat—lots of them! Today we’re going to show you three cute treat totes from our Designer Creations line that are sporting costumes of their own! First up is this cute little bag. 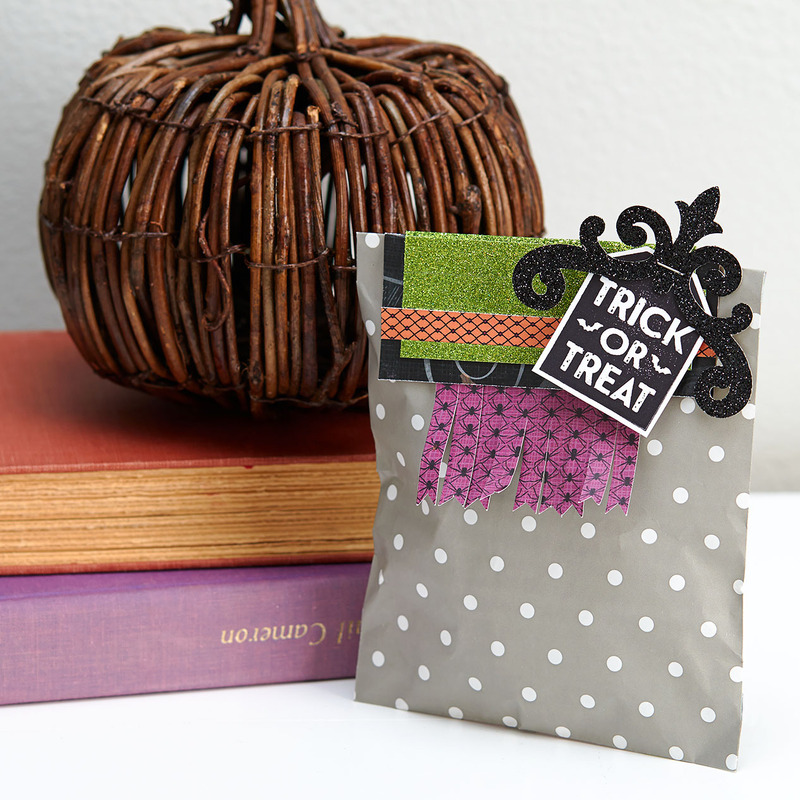 The “TRICK OR TREAT” tag from the My Acrylix® Pumpkin Chevron stamp set makes a perfect companion for this treat bag, though you’ll be sure to only find treats inside. 🙂 Halloween’s all about the theatrics, so using glitter paper adds a punch of pizazz to make this bag extra dramatic. And look at the great dimensional element added by the Eggplant Nevermore fringe! Next we’ve got this takeout box dressed up as a jack-o-lantern. Again, glitter paper takes center stage on this getup as well. 3-D tape on the tag makes the stamped sentiment pop out, but not to spook anyone! Fern thick twine is the perfect way to finish off this look. To wrap things up, we’ve got this spidery buttoned bag. 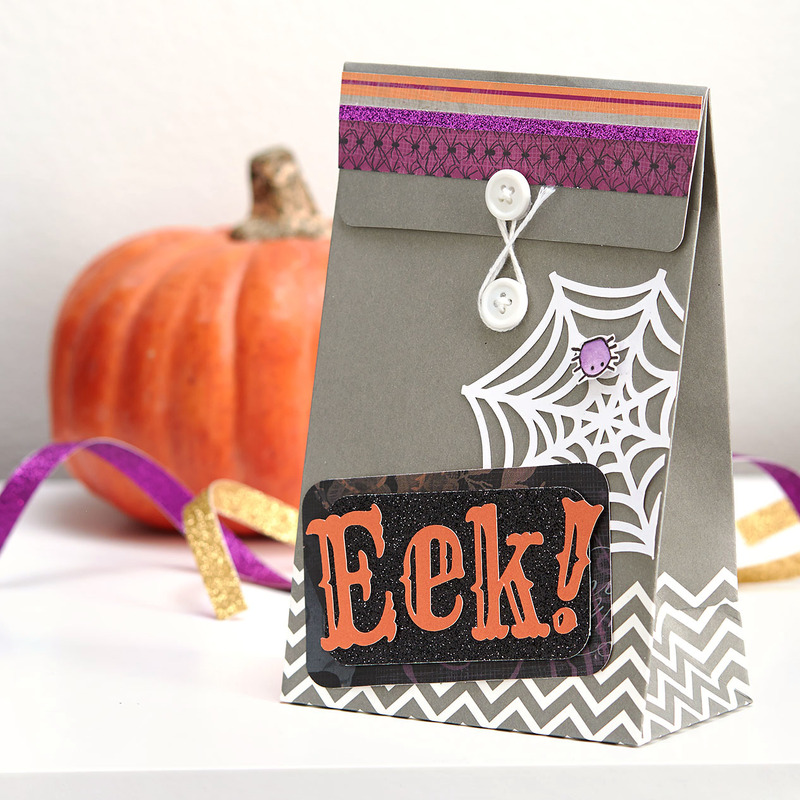 A Cricut® -cut “Eek!” and glitter paper work hand in hand to create something frightful, and the spider web plays off of the white chevron pattern perfectly. See that little spider? Our artist used watercolor paints to give him that shading. Even though real spiders are scary, we think this watercolor one is cute! 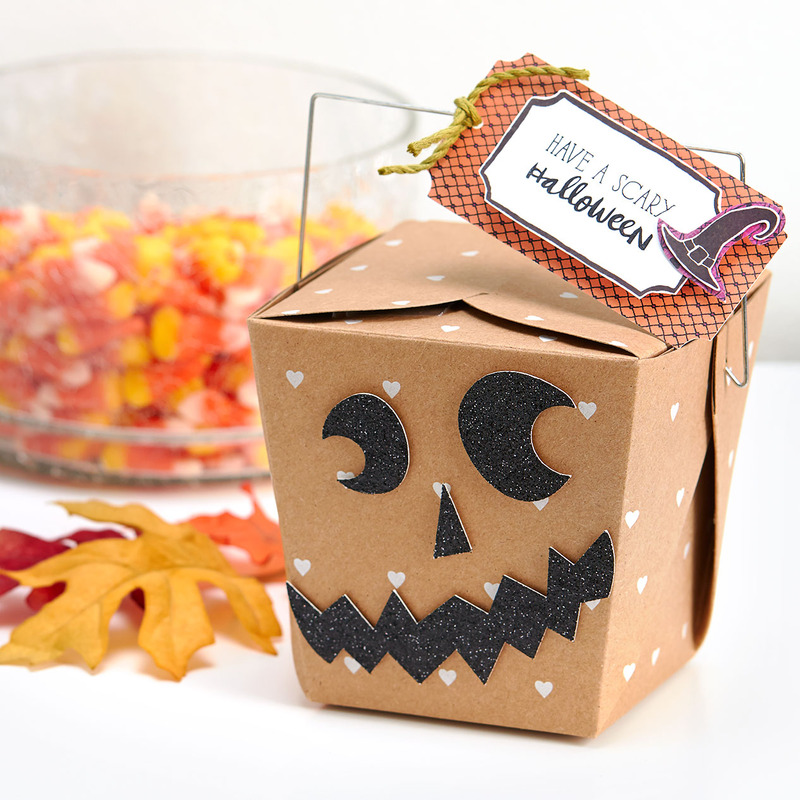 Crafting cute containers, making spooky goodies with family—that sounds like a perfect afternoon! The Nevermore paper packet and Designer Creations make it easy to create fun gifts to brighten anyone’s day. For more Nevermore artwork inspiration, search #ctmhnevermore on Facebook, Pinterest, and Instagram. Also, stay tuned for another spooky post on the blog very soon!